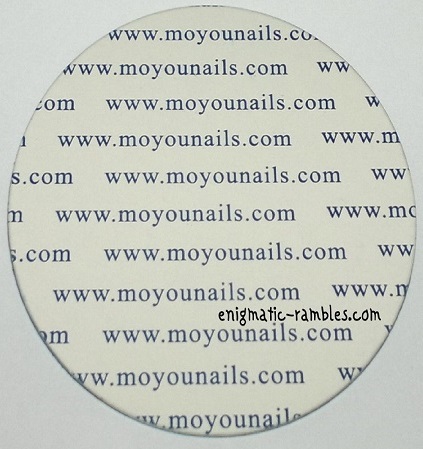 This stamping plate is backed with branded paper, which means it doesn't have sharp edges which is always good from someone as clumsy as me! 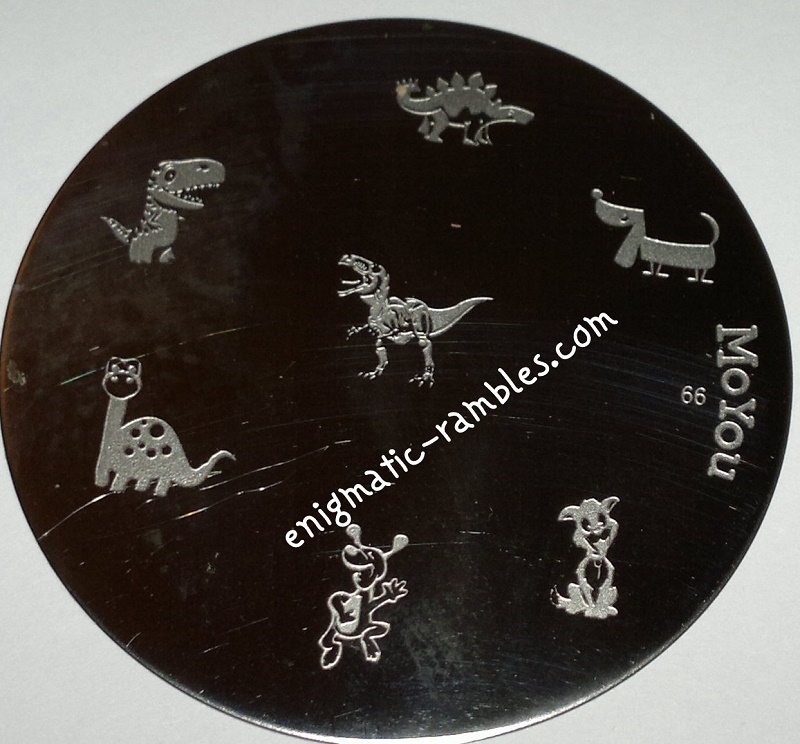 This particular plate is dinosaur and dog themed. 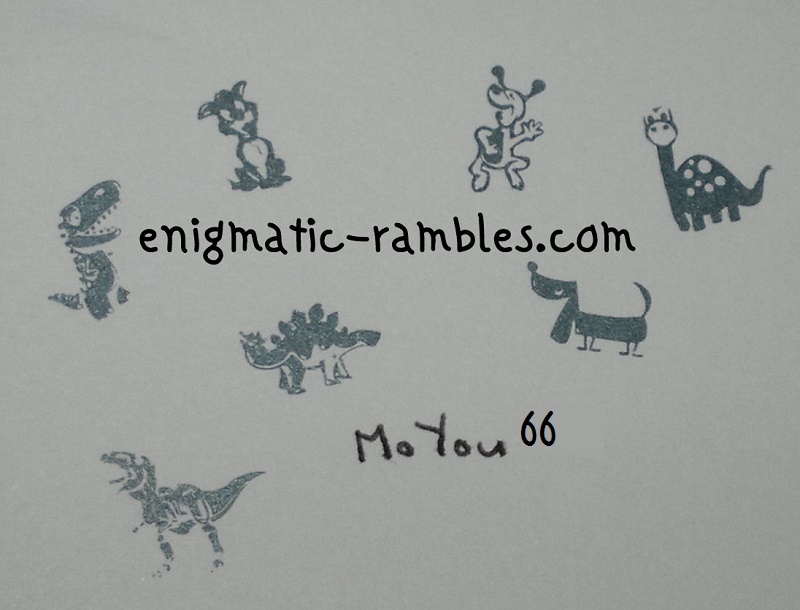 MoYou 66 has seven images on and all stamped well, below shows my first attempt at stamping using this plate. 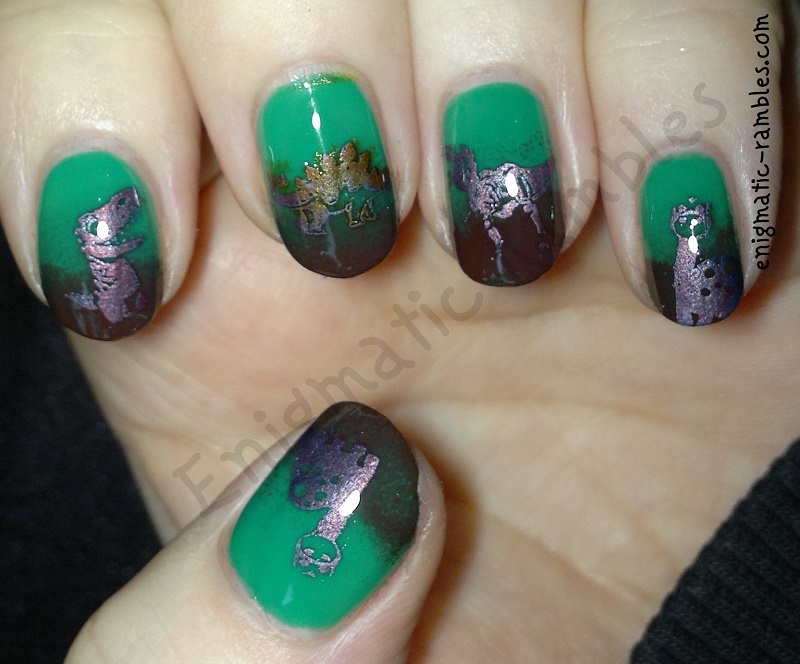 The only problem I had was with the dinosaur on the right and it's eyes, although once stamped on to the nail I don't think this would be a problem.